This 3-month milestone session was definitely memorable! 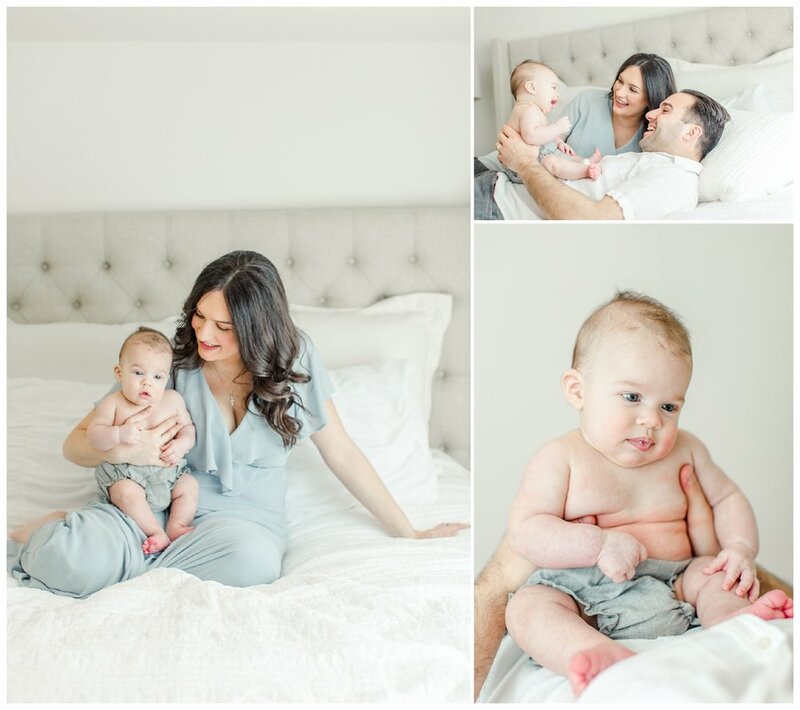 Not just because this is one of the sweetest families I’ve working with, but because little Nico was really showing out! This family traveled from Fairfield to my studio in Darien for their session. This was their first session as a family of 3 and I was so honored to get to document this special time for them. This mama is STUNNING. Her hair and makeup were perfection. She came in her sweats (as I encourage all Moms to do) and had fun “shopping” the Client Closet for the perfect dress. She selected my very favorite dress (the white hand embroidered Fillyboo) from the wardrobe and I definitely oohed and aahhed when I saw her all dressed up. She looked like a goddess. Unfortunately, that dress didn’t make it through the session…more on that later! LOL! Her next choice looked gorgeous as well (pretty sure she could make a paper sack look good). Hubby was so patient, helpful, and loving with little Nico. I could tell these two were having a blast figuring out this parenting thing together. The session was going wonderful until Baby Nico decided to show out with a blow out! LOL!!! Poop Happens! He had to get a bath mid-way through his session in the studio bathroom sink (so glad the studio has a sink and a washer/dryer close at hand because babies poop!)! I know it was stressful for Mom and Dad to deal with when they weren’t at home, but I couldn’t help but smile as it brought back so many memories of my own babies! They both had a knack for having major blowouts, especially when I didn’t have backup clothes! It’s like somehow they knew I was unprepared and just let it go. I remember one time when we were at a friend’s house and Liam had his very first major blow out. He ended up riding home in a diaper, one sock, and a swaddle blanket draped around him! Somewhere I have a photo of him from that moment. In the moment it was stressful. Once we were settled in the car it was hilarious. And now, 6 years later, it’s a memory I never want to lose. Funny how that happens. Being a parent is SO hard in the moments. But when a little time passes and we have a new perspective, we see just how much even the hard moments were worth it. Anyway, it was a blast and a session I will definitely remember not just for the excitement but also for what a beautiful family they are, inside and out! Here are some of my favorites! Kristin Wood Photography is a boutique photography studio specializing in Maternity, Newborn, Family and Child photography based in Darien and serving all of Fairfield County, CT.
Let Me take care of everything for you! I aim to provide the ultimate customer service experience in providing you with a luxury photography experience. With styling consultations, wardrobe, professional hair and makeup, and the finest quality products, you will receive stunning portraits styled to represent you authentically and naturally. I work with the finest craftsman to bring your museum quality wall art and heirloom albums that tell the story of your family for yours to come. 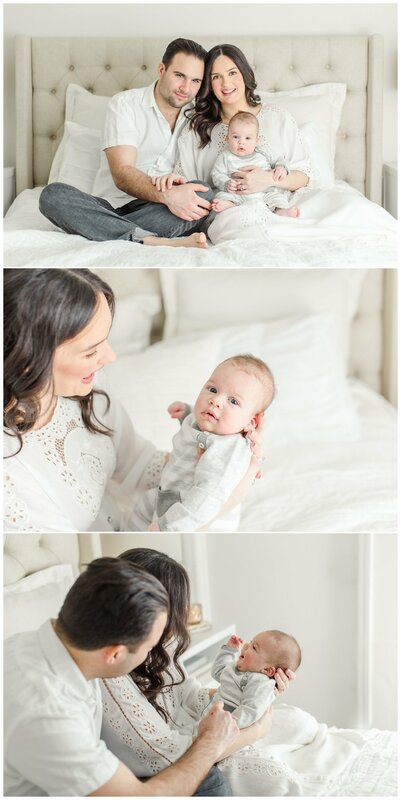 For indoor portraits and newborns, I have a lifestyle studio in Darien, CT or I provide a concierge photography service where I will come to the comforts of your home for an intimate and cuddly session. I even include design service to create custom wall galleries for your home and offer in house custom framing!